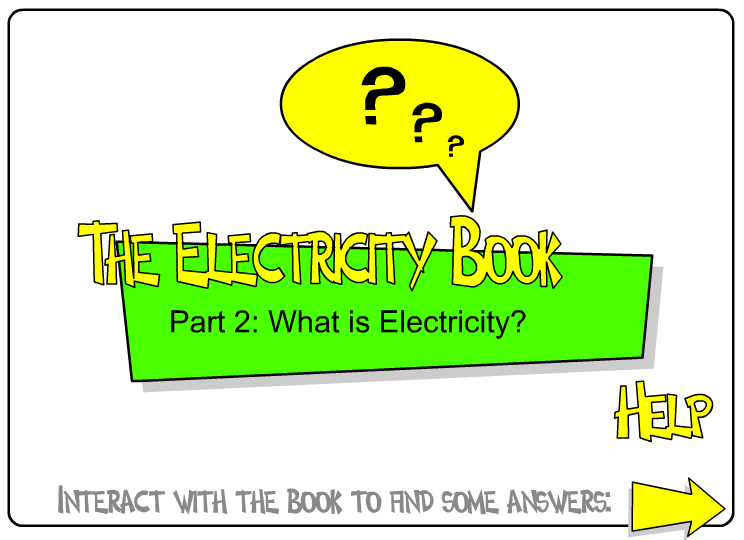 Is the flow of electric charge within a circuit. Is measured in amperes or amps (A). Represents how much electric charge is passing a single point in the circuit in moment. Does not run out in a circuit i.e. current is the same at the beginning and end of a circuit. 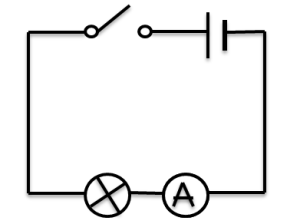 Difference in potential between two points of a circuit. Electro-motive force (e.m.f) is the voltage (potential) that a battery will supply. It is the driving force that gives the electrons the energy to move around the circuit. 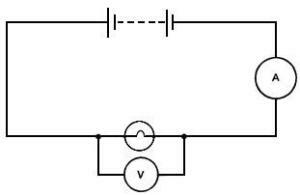 Is a measure of how difficult it is to push a current through a circuit. Charge is a property that certain particles have that can have a force of repulsion or attraction (like electrons or ions). The unit for electrical charge is Coulombs (C). 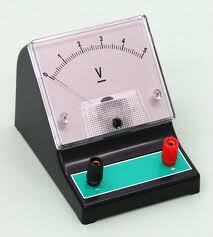 Is a device used to measure the potential difference between two points in a circuit. Has to be connected in parallel to the component you want to measure. Rub the balloon quickly on any dry surface e.g. a carpet. Go to the nearest faucet/ water tap. Place the balloon close to but not touching the running water. 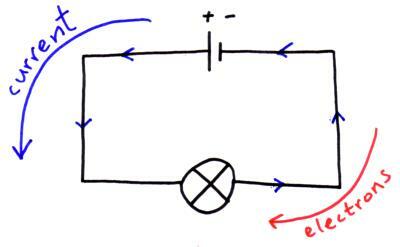 In Diagram d and e , it is shown that when the two bodies have an equal amount of charge with the same polarity , they repel each other. 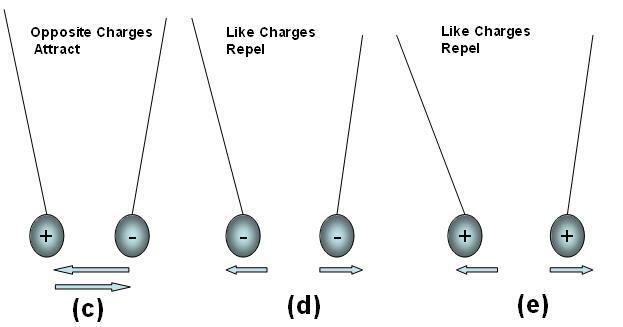 The two negative charges repel in diagram ( d ), while two positive charges of the same value repel each other as in diagram ( e). Some materials let electricity pass through them easily. These materials are known as electrical conductors. Some materials do not allow electricity to pass through them. These materials are known as electrical insulators. Plastic, wood, glass and rubber are good electrical insulators. That is why they are used to cover materials that carry electricity. More specifically, current is the rate of flow of charge in a given point of a circuit, measured in ampere, or amp (A). 1 Amp is equivalent to 1 coulomb of charge flowing through a fixed point per second. The potential in an electric circuit is a measure of how much joules per coulomb (Volts) there are in a specific point of a circuit. To move an electric current through a metal wire, it takes work/energy. If you think about it, when you run electricity through a wire, it gets HOT. The electric potential energy carried by the current is used to push the current through the wire and the energy is lost as heat. Therefore, potential represents how much energy there is to drive a current through the wire and is measured in volts (v). 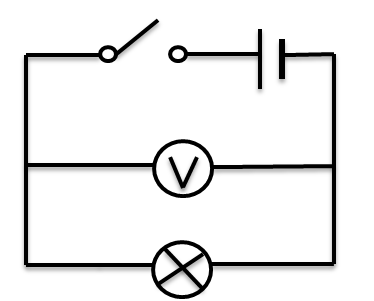 The potential difference is the difference in potential between two points of a circuit. It represents how much energy is given off when going through a specific point as it moves from a higher potential energy to a lower potential energy. For example, if the potential difference of a light bulb is 3v, it means that 3 joules of electric potential energy that each of coulomb is being lost as heat and light energy as it moves through the light bulb. In any electrical circuit, the potential at the end of the circuit is always 0 i.e. a potential of 0 volts. For example, a 12V battery will provide a e.m.f of 12V. Potential difference can be thought of as the pressure pushing charges along a conductor, while the electrical resistance of a conductor is a measure of how difficult it is to push the charges along. Using the flow analogy, electrical resistance is similar to friction. 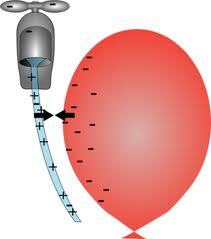 For water flowing through a pipe, a long narrow pipe provides more resistance to the flow than does a short fat pipe. The same applies for flowing currents: long thin wires provide more resistance than do short thick wires. For example, a light bulb has a potential resistance of 3 volts. If a current of 0.6 amps is flowing through the lightbulb, what is the resistance? 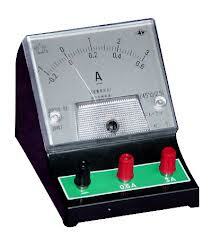 Set up an ammeter somewhere in the series circuit: this will give you the amount of current flowing in the circuit. Now, set up a voltmeter in parallel to the object, in this case a light bulb, to find the potential difference across it. Using theequation R = V/I , we can find the resistance. Here are two equations you might need to know for the exam. 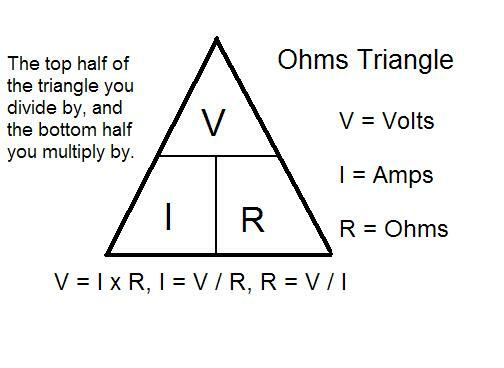 P is power, I is Electric Current (measured in Amps), and V is Potential difference (Voltage, measured in Volts). Units for power is Watts. This is also known as Joule’s Law. In a circuit, insulation is the plastic sheath that covers the wires. If you have damaged insulation, it means that the metal wires inside the cable are exposed. The potential dangers of damaged insulation could be that if a person touches the exposed wire, they could be electrically shocked, which may lead to death. When you run a extremely high current through a cable, you run a risk of overheat the wire. This is because you are supplying too much energy and this causes to wire to heat up. If the wires overheat, this could lead to electrical fires. 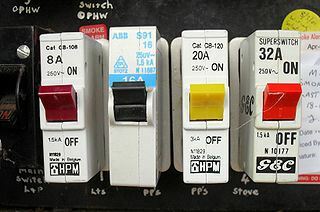 A circuit breaker is a safety device that forces a circuit to open (switch off) when an extremely high level of current flows through the circuit. Normally, electricity flows in the circuit breaker through the metal contacts. However, if an extremely high current flows through the circuit breaker, the electromagnet get stronger and pulls the iron catch towards it. This causes the spring to pull the metal contacts apart, causing the circuit to open/break. In order to make electricity flow again, you simply press the reset button to push the iron contacts together. Fuses work in a similar way to circuit breakers. They are meant to protect the components in a circuit from overheating by breaking the circuit. Fuses are integrated into the circuit they are meant to protect. A high level of current flowing through the circuit causes the wires inside the circuit to heat up. Inside the fuse is a metal wire with a low melting point. As a result of the running a high current through the circuit, the metal wire inside the fuse may melt. This causes the fuse and therefore the circuit to break. Fuses can only be used once, since the wires inside them melt away.